Documentation of Madhushravani Festival Celebrated by Women of Mithilanchal during monsoon season. 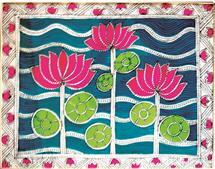 Under Narivad Department, Kala Kosh, Indira Gandhi National Centre of Art, Man Singh Road, New Delhi. 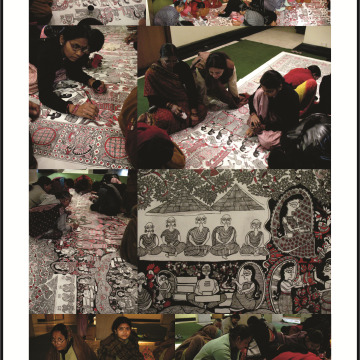 Workshop was attended by 40 master craft women from villages of Madhubani District. 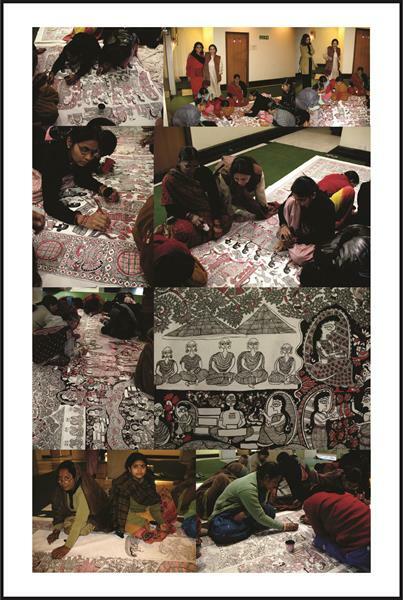 The important feature of this workshop was that first time in the history of Mithila Paintings woman from all caste i.e. 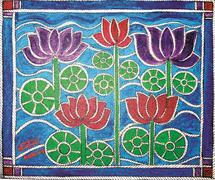 Brahmin, Kayastha and Dusadh worked together on one single painting. 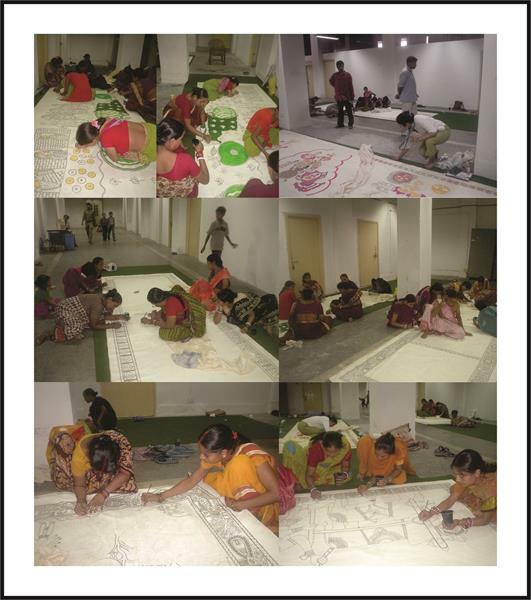 This workshop is also landmark in making artists work with new material i.e. Canvas and Acrylic colors. 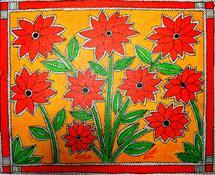 It is an amazing documentation of Vrat, Kala aur Katha. A Documentation of great women of India in different periods who have contributed in development of art culture and society of our country. Some of the important women documented are the Bhikhunis, The Brahma Vadinis, Debators and scolars like Gargi, Maitri, Bharti all the women from Ramayan and Mahabharat. The most important panel documented is the invisible women i.e. Women as mother, wife & sufferer. 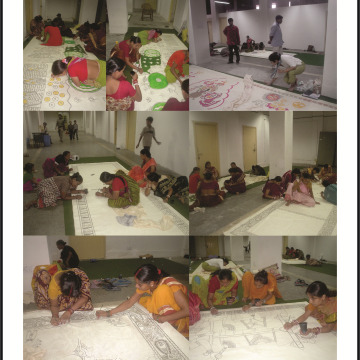 This whole documentation is on five 18’ long canvas panels and it is in collection with Indira Gandhi National Centre of Art.